We arrived at Disneyland at 9 am and stayed until Grad Night was over at 3 am. 18 hours! We spent the first part of the day at Disneyland and then we headed over to California Adventure. At 11pm, they closed parts of California Adventure just for graduates. At the end of the night, there was an amazing water and light show in the bay of California Adventure. 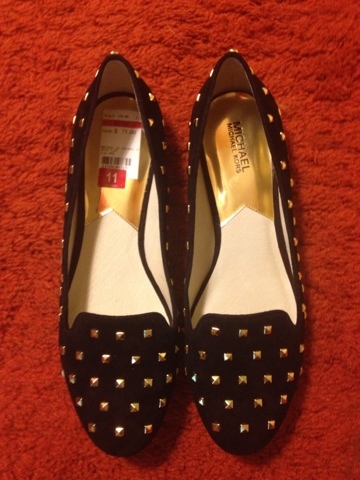 Yesterday I bought these beautiful Michael by Michael Kors flats on sale at Macy's. After all of my discounts, they went from $150 to $71. Still a bit pricey for me, but I considered them a graduation present to myself since I am graduating this week. So to celebrate surviving four years of high school: designer shoes!